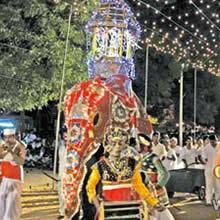 The Sri Lanka Nallur Festival takes place in Jaffna spanning over a period 25 days at the Nallur Kandaswamy Temple, Jaffna, Sri Lanka in July, August or September depending on the Tamil Calendar following the 'Aadi Amavasai' day. 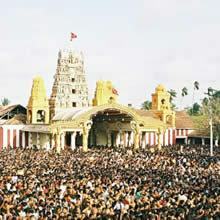 The Sri Lanka Nallur Festival, Jaffna in Sri Lanka is commemorated to worship Lord Murugan, Goddesses Valli and Deivanai. 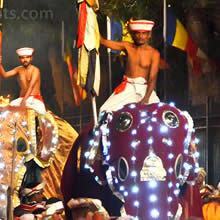 'Vaganangal' or special chariots are used to take the Gods around the Nallur Kandaswamy Temple complex, Jaffna in Sri Lanka with drumming and dancing and self mortification. 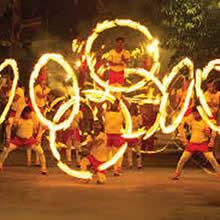 The Sri Lanka Nallur Festival commences with the flag hoisting ceremony and the first 10 days are purely poojas or religious ceremonies. 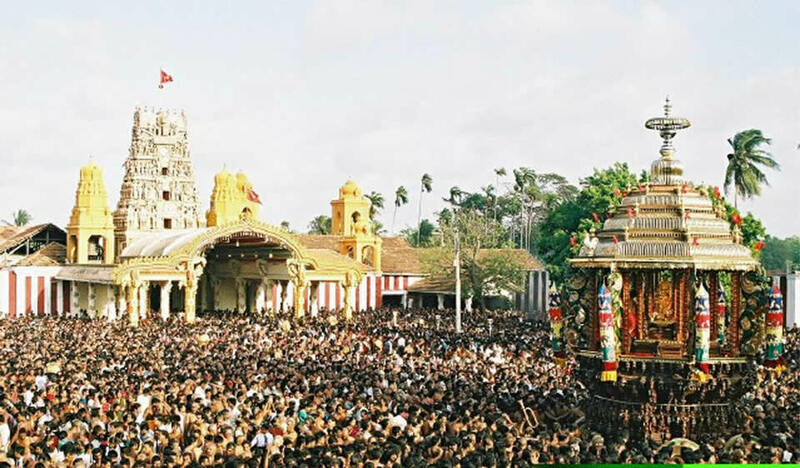 The next 10 days many activities take place around the Nallur Kandaswamy temple, Jaffna in Sri Lanka and culminates with an elaborate chariot parade called the 'Ther' festival. 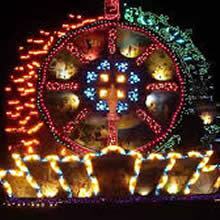 We can tailor-make programmes to Sri Lanka according to your requirements to include the Nallur Kandaswamy Festival, Jaffna in Sri Lanka along with other sights like Culture, Nature, Wildlife, Archaeology, Beach stay and even a game of golf if interested. The season for the beaches in Sri Lanka in July/August is on the Eastern coast of Sri Lanka like Nilaveli, Trincomallee, Passikudah, Arugam Bay to mention a few. 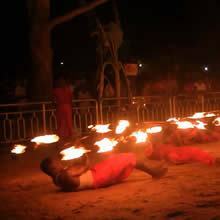 However the beaches on the Western Coast of Sri Lanka like Unawatuna, Hikkaduwa, Bentota, Ahungalla to mention a few are also pleasant at this time of the year.